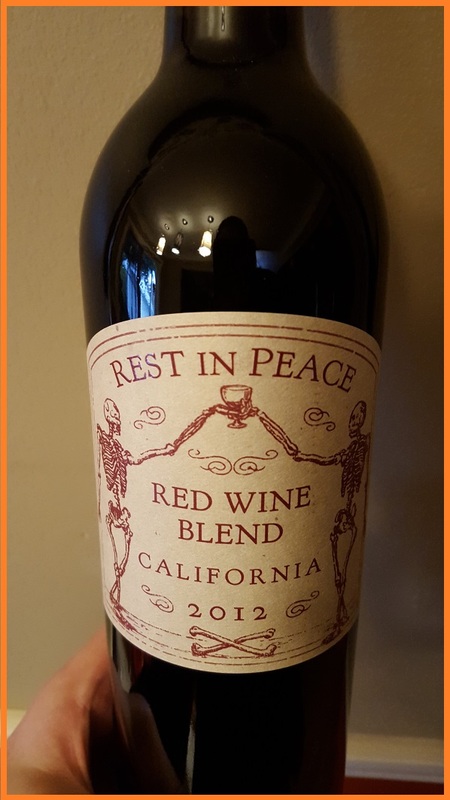 Halloween Wines Are Spooky Good! I feel like Halloween is really sneaking up on us this year. Can you believe we’re halfway through October already?! I haven’t given a single thought to decorating, costumes, or candy (yeah right…I love candy!). I’m not going to be prepared, but Sarah W. is here with something that will at least get me into the right frame of mind: Halloween wines! Themed booze just has a way of setting the mood! Sarah, spook us into the Halloween spirit! Greetings from the crypt. It’s getting close to Halloween, which means candy, costumes, and limited edition wines, if you are anything like me. The perfect glass of wine helps me plan my costumes, resist that candy, and hopefully tastes good, too! Halloween has been a lot of fun my whole life. Growing up, my family lived six houses down from the town square, so there were a lot of houses packed closely together, which made for excellent trick-or-treating. My mom used to go through 20+ bags of candy, turn her light out, wait for my brother and me to get home, and then make us go through our buckets for candy we didn’t want so she could keep handing treats out to kids at our doorstep. The first year in my house, I bought 15 bags of candy and hoped it would be enough – I thought Halloween was always the way it was growing up. I barely got through seven bags, and ended up bringing the rest in for my coworkers the following Monday. Lesson learned! Having some grown-up treats helps pass the time during the lulls. That’s where the wine comes in! I rounded up three Halloween-themed wines and put them to the test. Some were more trick than treat, but I’d say these three are a fairly well-rounded bunch, with something for every red wine drinker. I’ve found that Halloween wines tend to most often be available as a red, since that’s, you know, blood and guts and Haloween-ish. If you’re hosting the neighborhood parents, whip up a cheese board so you have something to snack on while you’re waiting for the kids to return with your candy (that’s how that works, right?). regularly now – this is a great thing. 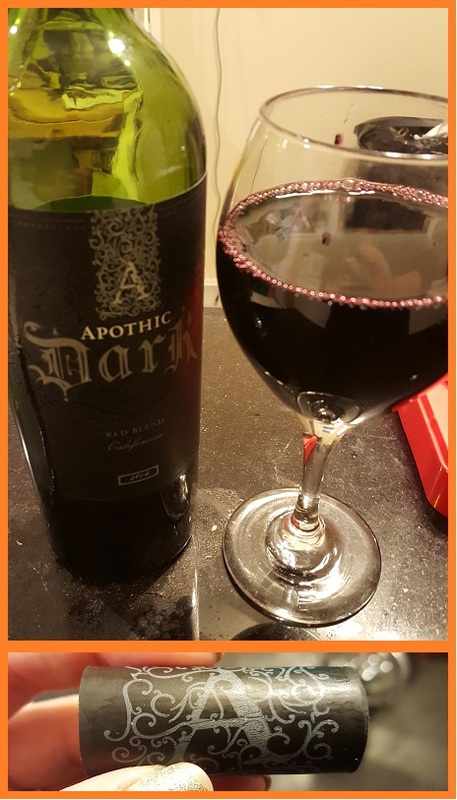 Apothic is great at blending wines – the original Apothic Red is the go-to wine for my closest friends and me when we get together for a wine night. It’s guaranteed at least half of us will bring the same bottle. Apothic Dark has a heavy, rich taste that is somehow more muted than the original. There’s a smoky undertone at the finish that is almost bitter. There’s a sweetness that is hard to pinpoint, but some kind of dark fruit flavor is involved. I was strongly reminded of a merlot when drinking this, which isn’t my favorite varietal. But it’s certainly smooth and drinkable, with any dryness coming at the end, almost after you swallow. This one won’t give you heartburn. You want to drink Dark with the middle and back of your palate – bringing this forward in your mouth makes it taste more acrid. This wine is a new one to me, and I was possibly most excited for it since red blends are my favorite. This is the most sour of the three, and although the tasting notes on the bottle mention boysenberry and raspberry jam, I didn’t find this very fruity or jammy. Maybe for a moment as this first hits your palate – there’s definitely a brightness to it that sharpens to a spice as you drink. Leather, cedar, tobacco, pepper, and black tea are also mentioned, and these are the flavors I can definitely taste. The taste of pepper and black tea is more noticeable to me in this wine; it lingers on the back of your palate. The consistency is thin, while the flavor is robust, somehow. I understand the notes on leather and cedar, even if they’re hard to explain. There are definite earthy notes, which is surprising for such an acidic wine. This one grows on you the more you drink it. a fact that I noticed when I got home. 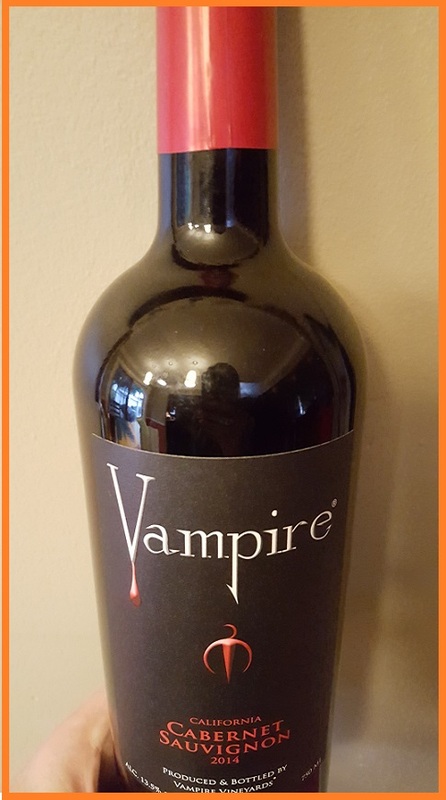 Vampire has a juiciness to it that is a) extremely appropriate given its name and b) very hard to describe in terms of drinking wine. Maybe it’s best to characterize the juiciness by the absence of smoke, bitterness, or sourness. Tasting notes on the bottle suggest blackberry, dark cherry, and oak. I am not hit over the head with the fruit level, but it’s tangibly there, while the oak doesn’t dry this up to an undrinkable level. This is a wine for storytelling and deep conversations. It’s mellow enough to drink a lot of without noticing how much you’re drinking, with dryness coming right as the wine hits the middle of your mouth. This is another one to taste with the middle and back of your palate. This also finishes with some slight bitterness, but not enough to be off-putting if you’re a regular red wine drinker. Is your house busy with trick-or-treaters on Halloween? What’s your favorite limited edition anything? Should they make more Halloween-themed white wines? I could only find one, and it didn’t look good to me, so I passed.